From the story's description I expected a strong heroine who used wits and skill to sneak around and kill people. Apparently what Sarah Maas means by "assassin," however is: delusional, self-absorbed, paranoid adolescent. 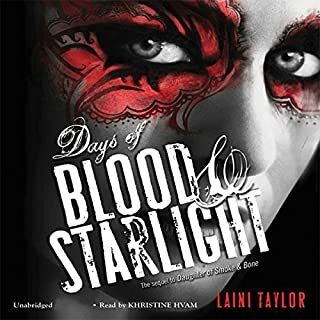 I am writing this review after listening to 11 chapters (out of 30) and so far our heroine has killed exactly NO ONE. She hasn't even won all of her skirmishes. She mostly contemplates violence in her mind, and many references to her dark, cold, inner steel are no where in evidence in anything she actually says or does. The plot is agonizingly slow. Truthful, with all the attention paid to dresses, romance and, girl-on-girl competition over boys I was reminded of my pre-teen readings of Barbara Cartland, which were stupid romances even when I was 12. If you want to live in a world where intelligent, politically savvy men crush on younger girls because she "reads" "gives sass" and has unusual eyes go ahead and dive in. I'd ask for my money back if I could. Making a firm note to self to read more reviews as several others posted on this one too. No more impulse buys based on cool cover art and assumptions that "assassin" is a fairly firm concept in this genre. First, the narration is amazing. Khristine Hvam breathes life into every sentence. Listening to her is like listening to a great story teller - not like listening to a reader. I bet she's fantastic around a campfire. But even her skill can't make up for the incredibly slow pacing of this sequel - clearly intended to bridge to a trilogy. Every scene is stretched and over described. Every character thought and feeling expanded upon. In the spirit of this, the plot moves "achingly forward" as the write falls in love with the possibility at wringing another hyperbolic emotion from the scene. Every major scene felt like those jokey stage actors who take forever to die because they don't want to give up the limelight. Yes, the descriptions are lovely. 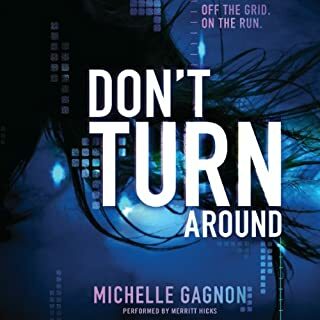 But somewhere around Chapter 24 I found myself rolling my eyes at yet another request to sympathize with Charou's pain, horror, sadness, guilt when I knew at the end of it she was just going to do something half-effective. I know, she's supposed to be only 17, but still. The character has so much potential, she's got magic and martial arts skills, can fly and carries memories of a soldier's life. But she never sees even one move ahead of her opponents, never fails to be consumed by feeling when logic should prevail and, honestly, I no longer understand what Akiva sees in her. He remains the better character, more clearly driven by moral choices and thoughtful sacrifice, if no less tragic. Ms. Taylor, as you write the third book in this series, please consider giving Charou more admirable qualities. Aren't there enough beautiful, hapless, ridiculous heroines being saved by men for no other apparent reason than their beauty? If this were a real soap opera some other woman would have slapped some sense into Charou by now. My money says Zuzana would, if you let her. Although I am looking forward to meeting the Queen - will it be Akiva's mother? If you liked the first book you will probably like this one too. Just be prepared for it to take a long long time to not go vary far. I enjoy good stories no matter who the intended audience and was guided to this title by an Entertainment Weekly review of promising young adult lit. I was amused by the idea of a character like a "younger sister of Lisbeth Salander." However 3/4 of the way through I kept thinking I should have just re-read/listened to Girl with the Dragon Tattoo. I do think that if I were still a teen or preteen reader I would have enjoyed this story for its quick pace, wry dialogue and multi-character focus. The plot is quick moving, although many scenes play out like predictable movie or TV shows. The serious issue of homeless teens and their vulnerability is one of the stronger aspects of the book, clearly intending to add pathos and some larger value to the moral stakes. I suppose another pro is that some young readers may be motivated to research what the thalmus gland does. In this future world there is a scary pandemic disease that attacks only teens, although the only societal result appears to be illegal medical research expedited to human testing stage at the expense of kidnapped run aways. For me, the plot had too many annoying flaws and I think some teens will find the book condescending. For example we are expected to believe world class computer hacking can be "picked up" in a few months by clever teens with "a knack for computers" (is there a more old fogey way to describe this trait). The actual tech skills displayed by Noa and Peter felt thinly researched and unbelievable. Its a quick read and if you are looking for a story to listen to as a family or with a young child it is tolerable. 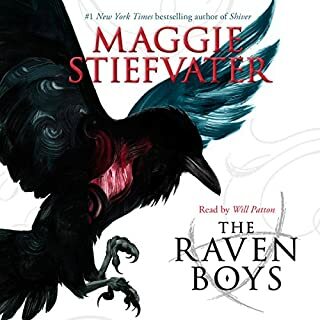 If you are looking to be entertained at a more substantive level I'd recommend The Raven Boys, the other book I downloaded and ultimately much preferred. 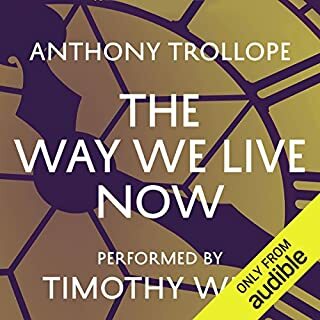 Where does The Way We Live Now rank among all the audiobooks you’ve listened to so far? What was one of the most memorable moments of The Way We Live Now? 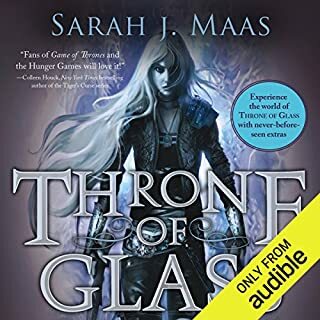 I purchased this book after hearing it recommended on Slate's Culture Gabfest - thank you Audible for continuing to sponsor that most excellent podcast. The story was my chief entertainment during a 20 hour solo trip during the holiday. At first I wasn't sure about my choice as the characters seemed disagreeable and the plot slow. I will admit it wasn't until the 7th or 8th hour that I admitted I was hooked. By the end I felt I was parting with dear friends. It has been said that when writing of universal themes an author must be as specific as possible. This story is a perfect example. Characters' inner thoughts, feelings, motives and decisions are given in great detail. Each one is given so much attention and consideration they are more then fleshed out - they live and breathe on the pages. The plot points center on 18th century British economics - no apparent regulated stock exchange and landed incomes starting to give way to "trade" wealth - and the kind of British social manners that are too far removed from our own time to even be called quaint. Even so, the larger ideas rise easily above. Romantic love versus personal self interest and economic security can be recognized as a push and pull between greed and generosity. The value of work and dangers of prosperity from idleness and deceit are explored. Throughout, the author's tone remains affectionate about his characters and their troubles. At the end I felt optimism about the word and human nature. I feel quite certain this is a story I will listen to again - even with its great length. So many ideas are contained within that one go isn't enough to absorb them all. If you love Austen, Wharton, Elliott etc and haven't yet discovered this story I recommend it highly. What about Timothy West’s performance did you like? Timothy West's talent is remarkable. His accents and modulations gave life to characters and his dramatic reading of dialogue brought scenes to life in a way that trumps the imagination. He managed female characters credibly and beautifully, which given his full rich male voice is a true actorly feat. I also appreciated the affectation of provincial british accents, which gives color to the various social circles covered in the story. John Crumb, a man of few words himself, lives in my mind because of the voice given him by Timothy West.